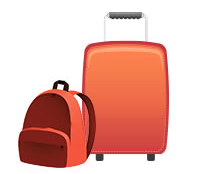 My Baggage is an affordable way to transport your baggage overseas without having to spend a fortune. We offer cheap international baggage shipping to and from more than 200 countries worldwide at budget-friendly prices. We’re so confident about our great overseas shipping rates, that we offer an excellent Price Match tool – so if you find a lower price elsewhere, we’ll do our best to beat it. 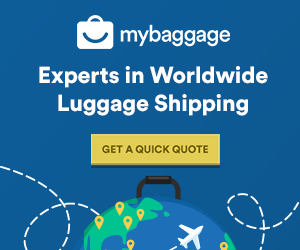 Whether you’re moving abroad, going on a long, well-deserved holiday or have simply picked up more souvenirs than you initially thought you would during your exotic break – shipping your luggage separately can be a lot more convenient, and more affordable than paying for your airline’s excess baggage charges. Sending your luggage with My Baggage can be as much as half the price of airline baggage charges. Not only that, but you get twice the weight allowance (up to 30kg per item) so it’s excellent value for money! One of the biggest downfalls of the airline industry is luggage going missing. In the worst case scenario it can be lost forever, or if it is found it can take a painful number of weeks to make it back to you. At My Baggage, we understand that you can feel apprehensive about handing your belongings over to a shipping company. Thankfully, we’re experts at this and have been sending luggage across the world for years. To prevent luggage going missing, we’ll keep you fully up to date with your shipment with online tracking, as well as SMS and email notifications. At My Baggage we make it our top priority to ship your luggage, safely, quickly, stress-free and most importantly – at a price you can afford. We offer fantastic low rates on international luggage shipping. We ship all over the world – to destinations such as Europe, Asia, USA, Canada, New Zealand and Australia. To view our full list of international destinations, just visit our quote page, where you can also get a price for your shipment. As mentioned, airline baggage can be extremely expensive, so luggage shipping with My Baggage is a welcome and more affordable alternative.